The Sigma Spa™ Brush Cleaning Glove is a quick and effective method to deep clean your entire makeup brush collection. This revolutionary device offers a variety of textures and surfaces for removing makeup from your brushes while using only a small amount of cleaning solution. 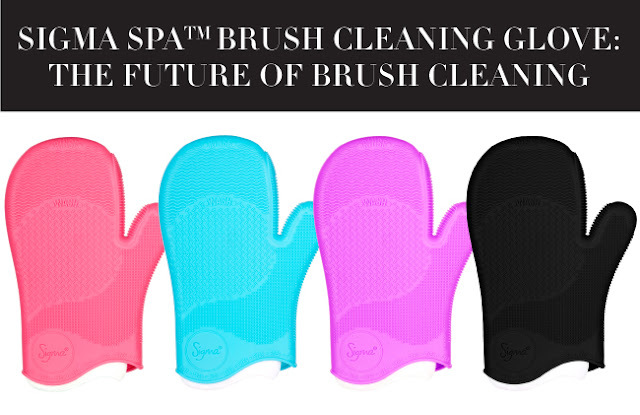 The revolutionary Sigma Spa™ Brush Cleaning Glove is unlike any other product on the market. The surface of the glove was engineered to clean your brushes by offering a variety of cleaning surfaces including wash, rinse, refine and shape. 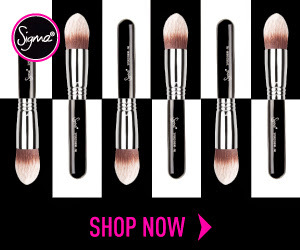 The Sigma Spa™ Brush Cleaning Glove provides 6 unique cleaning textures for both eye and face brushes. In the example above, you can see how easy it is to wash, refine, rinse and shape your brushes! Combined, the Sigma Spa™ Brush Cleaning Glove and Dry'n Shape thoroughly clean, dry, shape and ultimately extend the life of professional makeup brushes. Collection Status: Permanent. 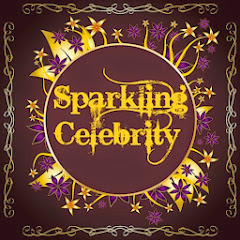 Available now on sigmabeauty.com! Features & Benefits: Unique textures for efficient brush cleaning. Constructed with high-grade silicone for durability and a microfiber inner-glove for added comfort. New patented method of brush cleaning for minimizing the time spent washing your brushes. 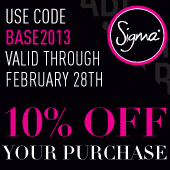 You can use this February, 13, Discount coupon code BASE2013 to make your purchase from the site here. 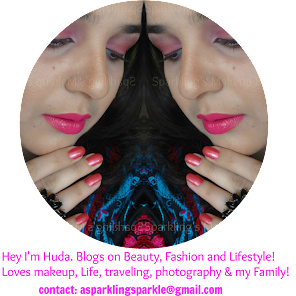 So what are you waiting for GO AND SHOP!!! 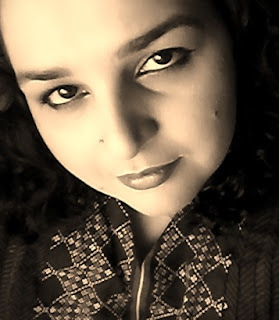 To shop it now Click through this affiliate link or You can click through the picture in the sidebar of this blog.